With support from the Department of Culture, Arts & Leisure, the Foundation has now completed the work to digitise the massive six volume History of the Irish Parliament 1692-1800 published in 2002. 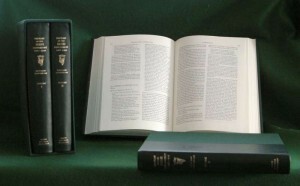 Incorporating 2,300 biographies of members of parliament, 300 constituency histories and an index to the statutes passed by the old Irish parliament this resource will be an invaluable tool for those studying eighteenth century political history, for family historians and given its broad coverage even the historian working at the local level. Check out the History of the Irish Parliament Online.